Are you a blogger who wants to know how to create short video for social media? Look no further than this post! I have tons of information for you today that you can use to create your own great short social media videos. If you are on Facebook at all, you probably have already seen the influx of short videos to grab your attention. Start making those yourself and drive people to your Facebook page. Watch your reach skyrocket once you create these simple short videos that will rock all of your social media accounts. All of this started with an ebook I wrote with Jessica from Mad in Crafts. (You can click here to see more in that post.) We ended up doing pretty well with the book and were able to apply to speak at SNAP! conference with our knowledge on short video. I am happy to announce that we are speaking at SNAP! next month! We were thrilled at the opportunity to teach about short video for social media. It was during the brainstorming for our class together that we realized…..there was no way to teach every little bitty detail about short video during one class. So we came up with a plan for a video series that will teach ALL of you about how to create short video for social media. We will of course go more in depth in our SNAP! class so if you are going to be in Salt Lake City this year be sure to stop by. But there is TONS of information that you can learn from the video series just by watching it from your computer at home. So dive in to each video listed below. If you have further questions on short video, please ask them in the comments section. We will be doing follow up videos to this series later in response to questions and issues that come up with the short form of video. For now, y’all enjoy! Series Wrap Up and Announcement! Hopefully after watching those videos, you have a better understanding of creating and using short video for your brand. If you want even more information, be sure to pick up a copy of our ebook here. For a limited time, you can use coupon code SNAPCONF for a 50% discount! 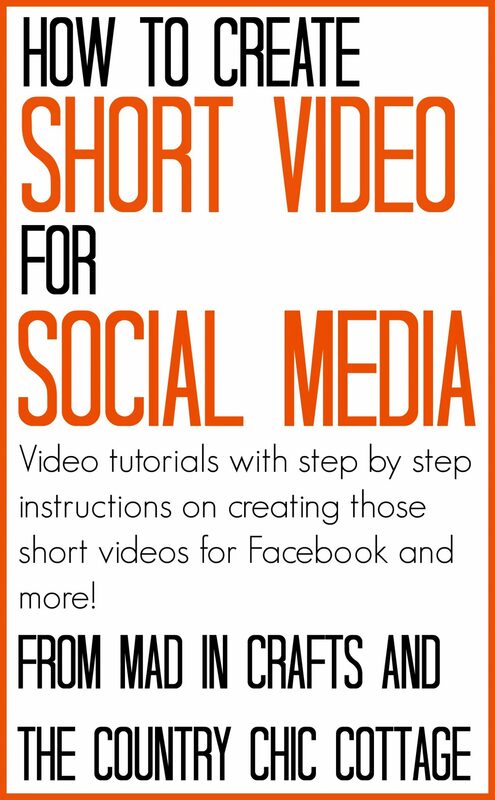 So snap up those books and learn all about how to create short video for social media.